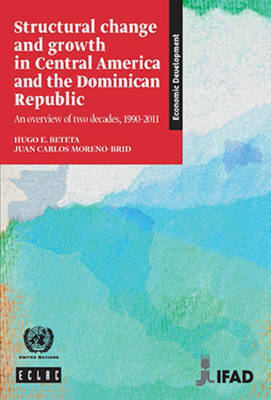 This publication looks at changes that have occurred with the production structure, trade and society in Central America and the Dominican Republic, and how they have influenced the countries' growth trajectories. One of the conclusions it reaches is that the subregion overall has enjoyed faster economic growth than the rest of Latin America over the two decades examined, 1990-2011, which has helped to raise incomes and living standards. Yet this progress falls far short of what is needed, given the high levels of poverty and indigence and the glaring inequalities suffered by much of the population in Central America and the Dominican Republic.